Users share experiences and responses to harassment at work, school, and in the streets. 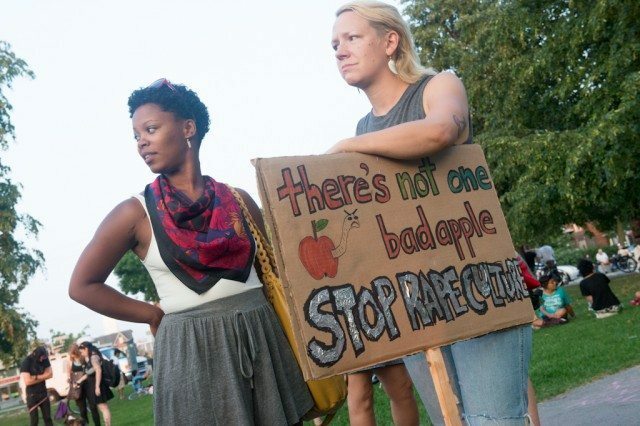 Protestors at the recent anti-violence rally at Christie Pits. As Torontonians continue to speak out against widely reported sexual assaults in public places, a local charity has created a mobile app designed to support and empower people targeted by sexual harassment. 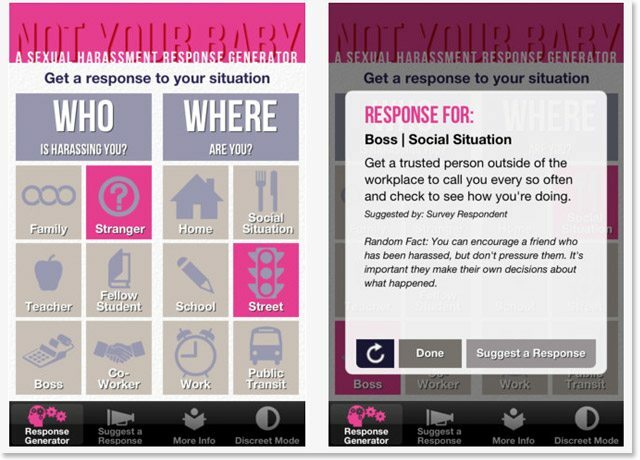 On Monday, the Metropolitan Action Committee on Violence Against Women and Children (METRAC) released “Not Your Baby,” a free iPhone app that allows users to discuss and share instances of sexual harassment, as well as possible interventions and responses to unwanted sexual attention. METRAC communications director Andrea Gunraj told us that the application’s bold title was inspired by responses from over 200 survey participants, whose feedback informed the app’s initial content. “A lot of people said they had a hard time thinking of responses [to harassment] in the moment,” said Gunraj. The app allows users to input details about a situation of harassment, including the place it occurs and the identity of the aggressor. It then generates a list of possible remedies, many of them informed by real experiences from those survey respondents (the survey was conducted by METRAC and other local advocacy groups). New subscribers can also add and share their own experiences and solutions with fellow users.